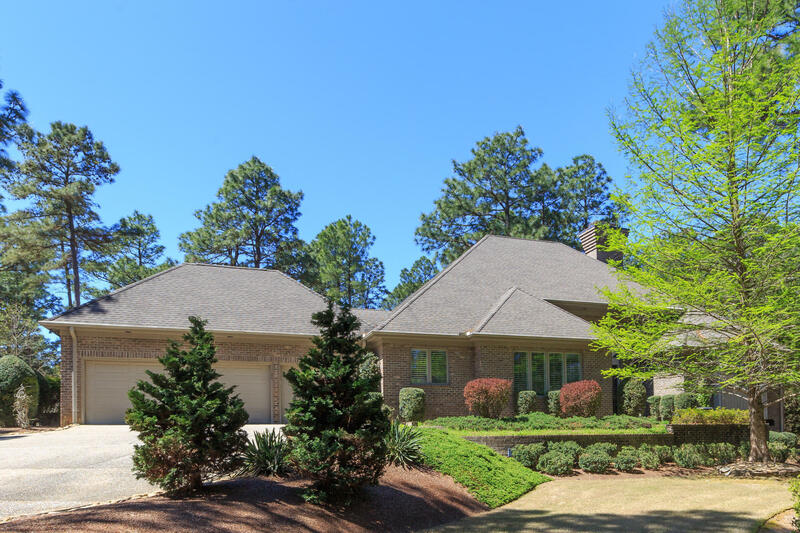 Beautiful brick home in move-in ready condition in Forest Creek Golf Club. Located on the 12th hole of the South course, this home sits majestically on a spacious private lot. Immaculately maintained with all the amenities. Kitchen has cherry cabinets and granite tops with Wolf gas cooktop, wall oven, microwave, warming drawer, Dacor hood, kitchen desk and sunny breakfast nook with golf course view. Off the kitchen is a screened porch with three season easy breeze windows and built in Wolf grill and golf views. Main level master suite with views and hers/his walk in closets. Master bath has granite tops, separate sinks and garden tub. Main level study with built ins that could be used as a 4th bedroom. Two upstairs guest suites and separate living area with bar. Three car garage. Road Description: Private Paved, Private Rd. Maint. Agr. © 2019 Multiple Listing Service of the Mid Carolina Regional Association of REALTORS® All rights reserved. The data relating to real estate for sale on this web site comes in part from the Internet Data Exchange Program of the Mid Carolina Regional Association of REALTORS® MLS. Real estate listings held by brokerage firms other than Century 21 Sterling are marked with the Internet Data Exchange logo or the Internet Data Exchange thumbnail logo and detailed information about them includes the name of the listing brokers. The broker providing these data believes them to be correct, but advises interested parties to confirm them before relying on them in a purchase decision. Information last updated on 2019-04-18.